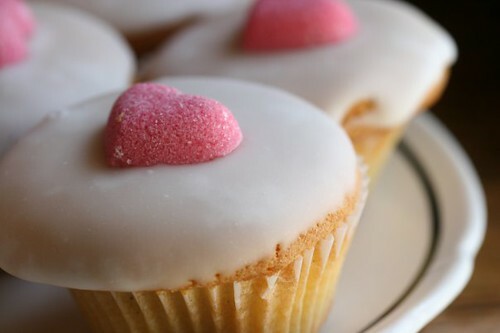 These delicious looking treats are from The Village Tea Room in New Paltz. New Paltz is a small little hippy town about an hour and 1/2 north of New York City. 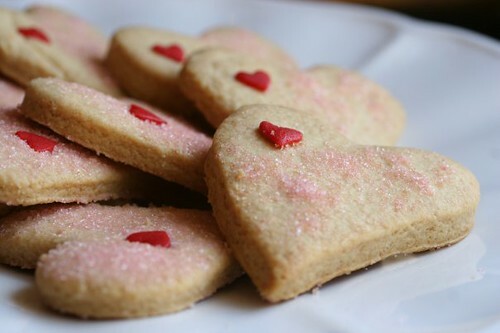 Agnes Devereux the owner of The Village Tea Room makes these to die for cookies and cupcakes. I wish I lived a little closer so I could eat all of her Valentine treats. She’s also know for her creme puffs if you fancy something totally decadent. Stop by for a cup of tea and a cookie or stay for one of her fabulous dinners. 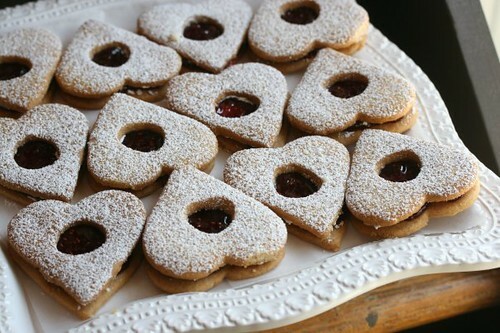 I am salivating for one of those linzer cookies above. For a similar recipe try marthastewart.com. Those are both super good too Amy! Your making me hungry. i heart the tearoom..of course I'm biased having worked there forever! Don't forget the Chocolate guinness stout cake or the honey bee cake!! These look amazing! If you want to do a guest post on my blog about this place for my tea of the week feature, let me know!